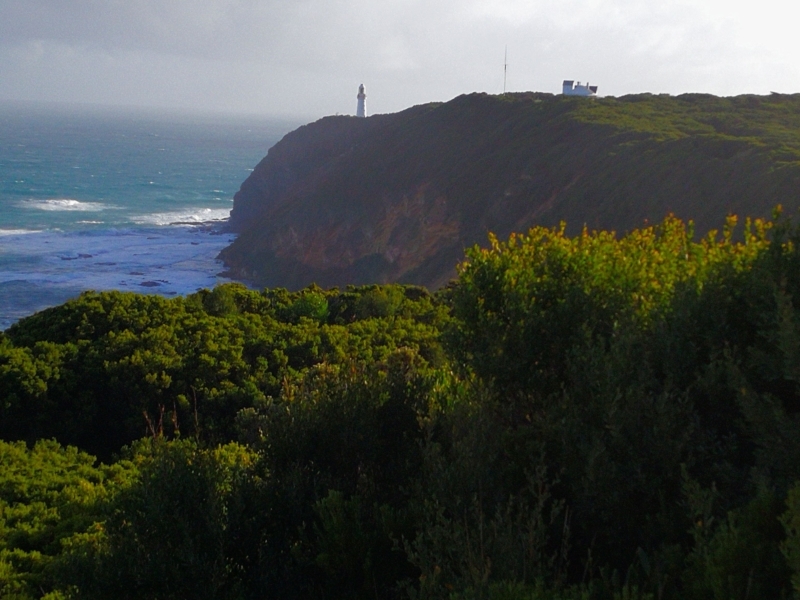 This is the third stage (and one of the more spectacular) sections of Victoria's stunning Great Ocean Walk, a 10km trek from Blanket Bay to the Cape Otway lighthouse. 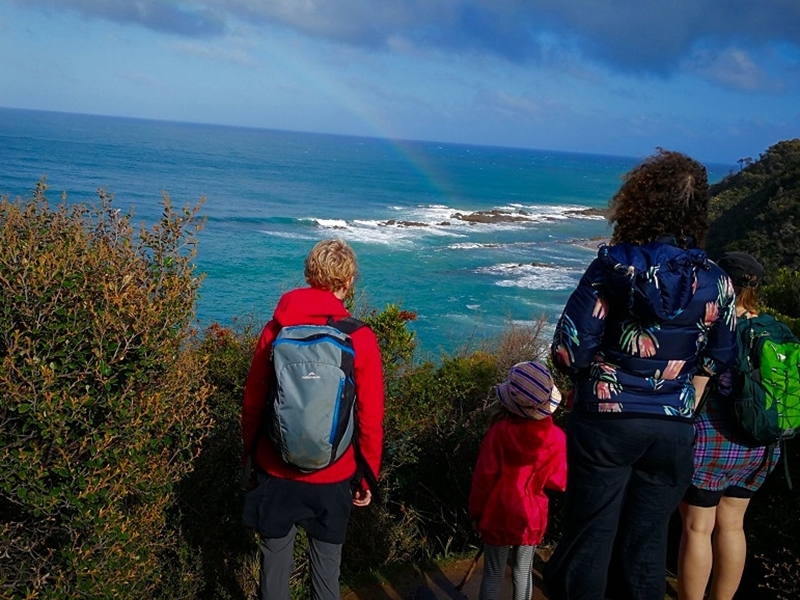 Use this free, online map to walk one of the most spectacular sections of Victoria's stunning Great Ocean Walk, a 10km moderate-level trek from Blanket Bay to the Cape Otway lighthouse. 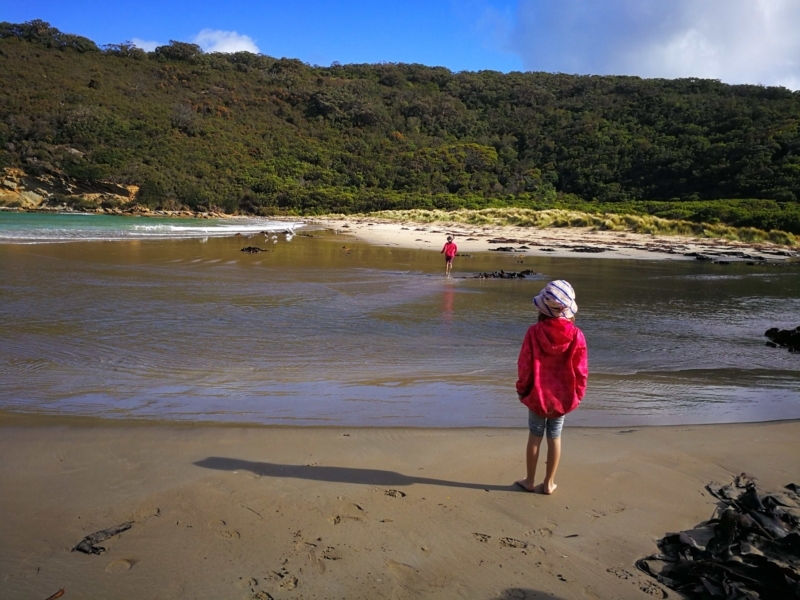 This section from Blanket Bay campground car park to the tourism site at Cape Otway light station takes you through coastal bushland where you can enjoy wildlife-spotting, and then continues right along the coastline to enjoy ocean views from the cliff tops. There is a drop toilet at the Blanket Bay car park, and toilets at the end of the walk at Cape Otway lighthouse but none between. You will need to clean your shoes using the supplied hygiene station at the Blanket Bay car park to help prevent the spread of fungal disease to the gorgeous grass trees you'll see along the way. At Parker Inlet you may need to remove your shoes (and pants!) if the tide is coming in in order to cross to the next part of the track. Currently the lighthouse is run by a private company and sadly you will need to pay if you want to actually view it and the end of your walk as gates prevent access or viewing. Not to worry, the walk is still worth the effort! This walk took us nearly four hours to complete with an 8 and 10-year-old child but the terrain is not very challenging. Dogs are NOT PERMITTED on the Great Ocean Walk. 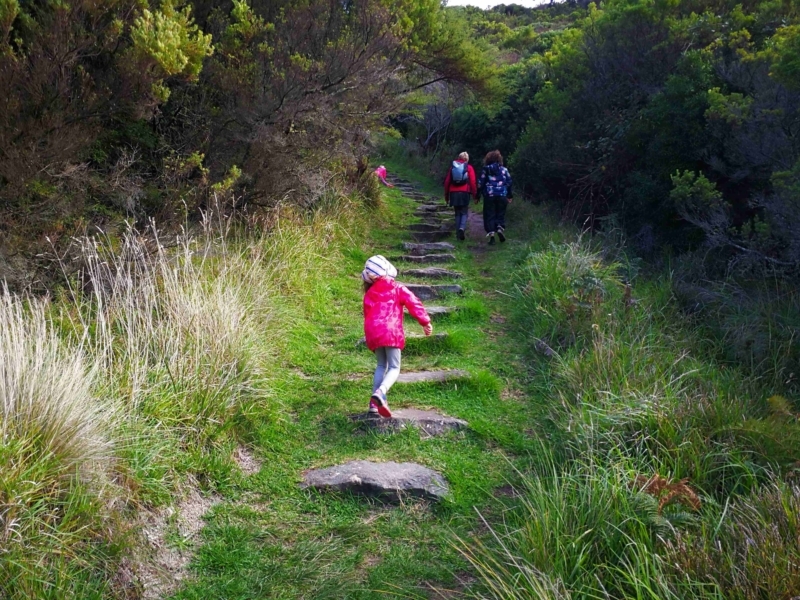 Here is a great Parks Victoria Brochure about all stages of Victoria Great Ocean Walk, including best spots to camp. Want a wonderful day of walking? You've come to the right place! 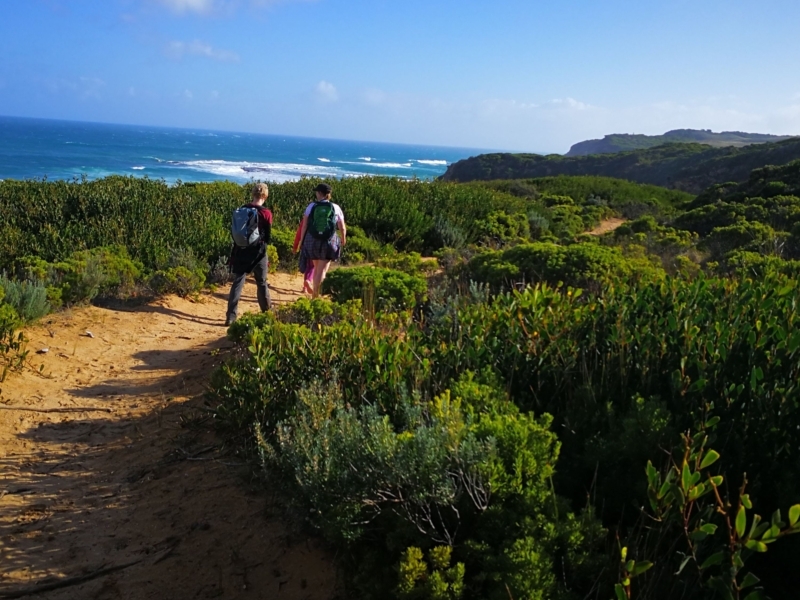 Victoria's Great Ocean Walk is deservedly famous. This walk is the third stage (see other stages in 'Find Out More' link). 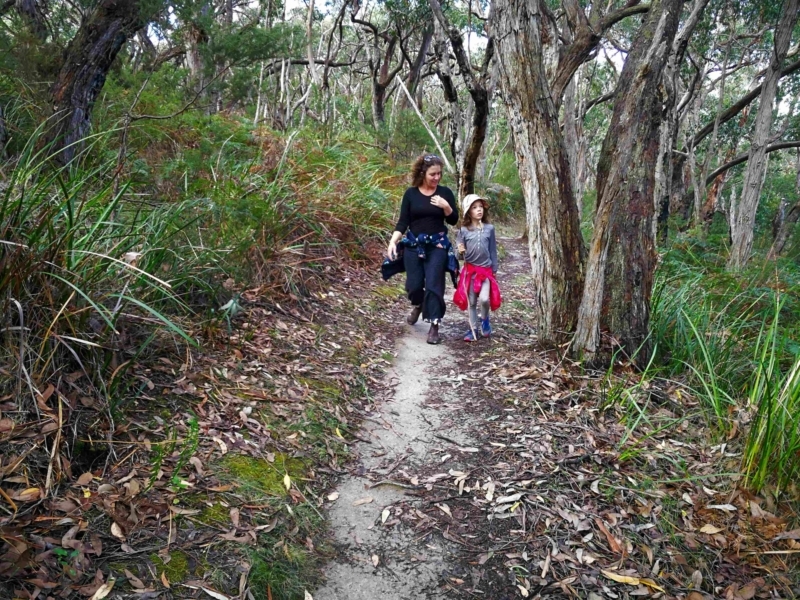 The first part of this walk takes you inland slightly where you will enjoy dense native forest and may be lucky enough to spot some wildlife such as gang gang cockatoos , wallabies and more. 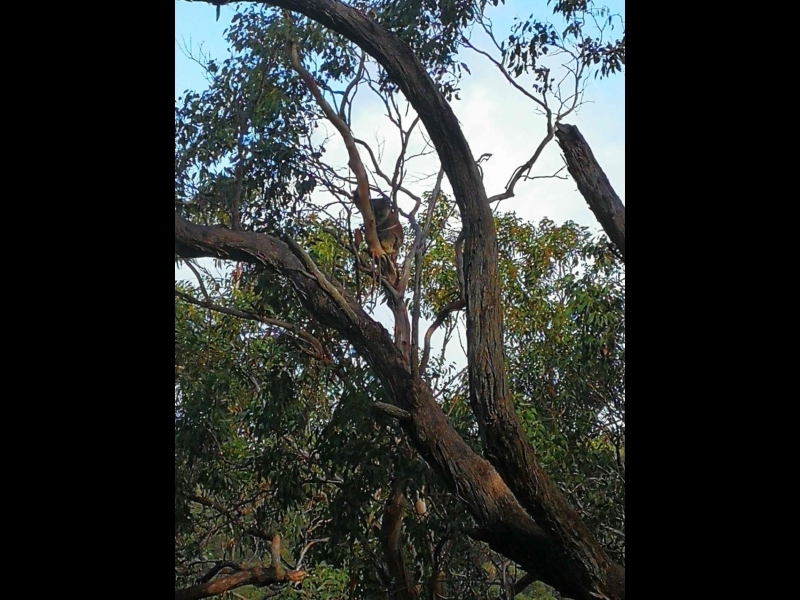 Parks Victoria describes the Otways as one of the best places in Victoria to spot koalas. There were so many at one time many starved but things are looking better now. This one looked pretty happy! Emerge from the bush and descend to Parker Inlet where you'll be asked to clean your shoes once more to stop the spread of plant diseases. If the tide is in you may need to keep your shoes off! 5. Go at low-tide or remove your shoes! Cross the usually shallow inlet and pick the track back up on the other side. A lovely spot for a rest, photos and a splash if it's hot. 'Find Out More' for alternative route at high-tide times. 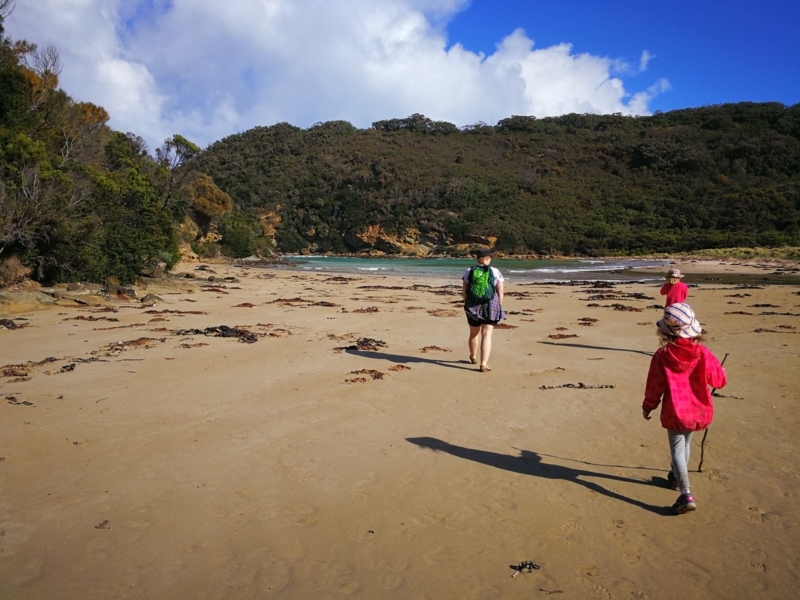 Between Parker Inlet and Crayfish Bay you'll enjoy spectacular coastal scenery. 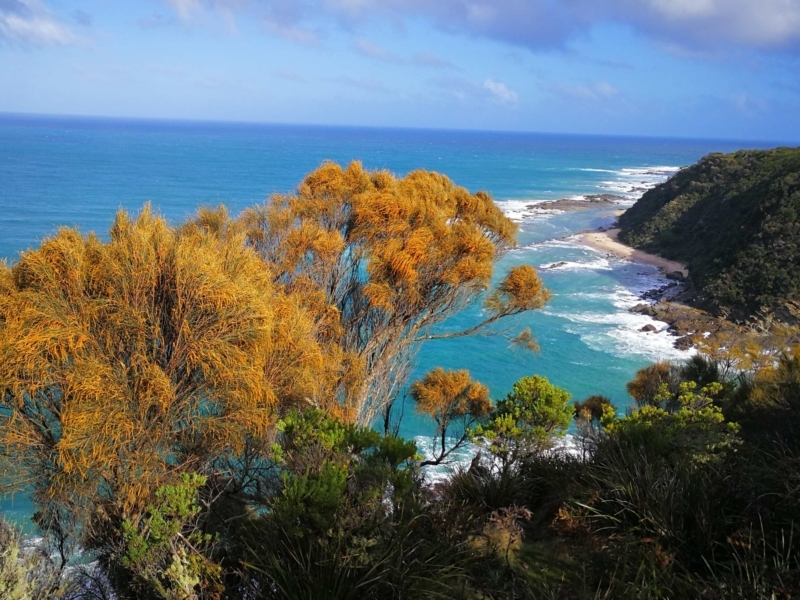 We loved the dramatic colours of the Boobyalla shrubs and other native flora against the dramatic ocean backdrop. Be sure to keep following the Great Ocean Walk signs. You can detour from the track here to take a photo opportunity, or further along there is a path down onto the beach at Crayfish Bay. 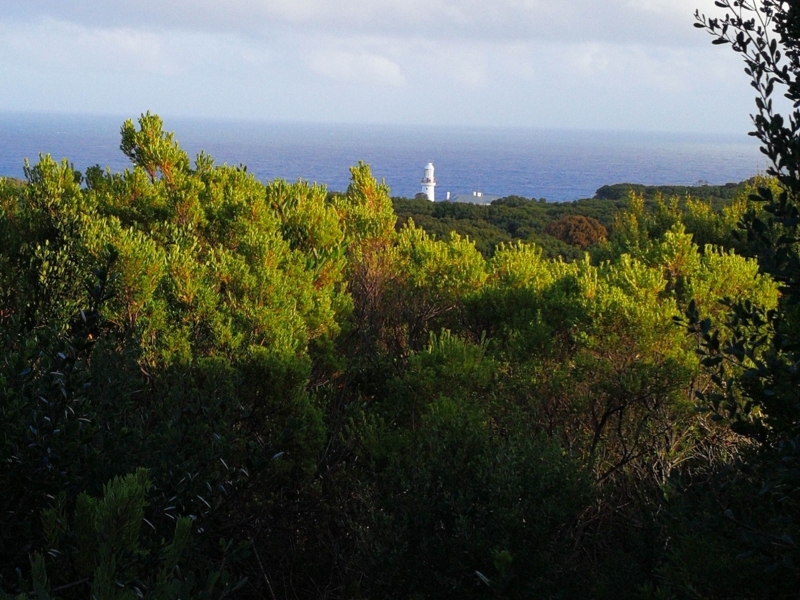 It's around this point that you'll finally get a glimpse of the Cape Otway lighthouse. Constructed in 1848 it's the oldest surviving lighthouse on mainland Australia. It looks a long way off though! Well, you've made it. Annoyingly the lighthouse is currently run by private operators and you need to pay about $20 to view it. Alternatively a small track up from the car park affords this view.